The power of Artificial intelligence (AI) is seen in many of our daily tasks. The intention of this technology is to increase efficiency, hence, improving productivity. This recurring topic is part of many business conversations. 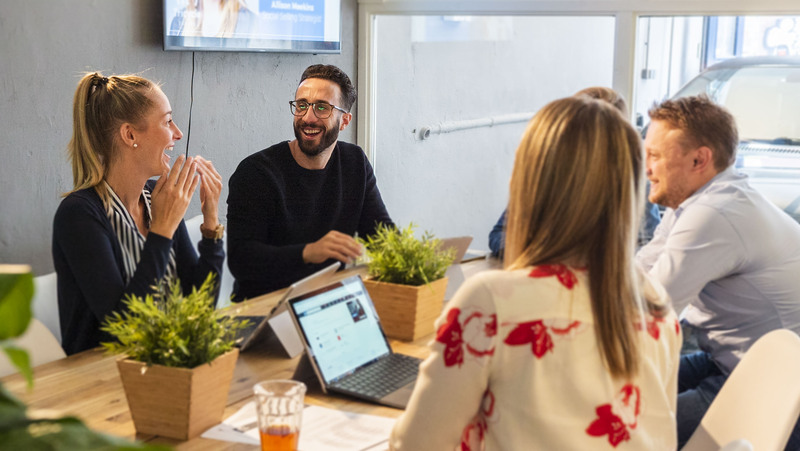 Therefore, let’s have a look at it in a real scenario to authentically experience it: Sales people & marketeers are aiming to have conversations with clients and potential clients. Today, the technology and the tools that are available make professionals more digital than ever before, which reflects on their daily routines. One of the preferred platforms to have conversations with their targeted groups is LinkedIn. How can they benefit from AI to increase their productivity? 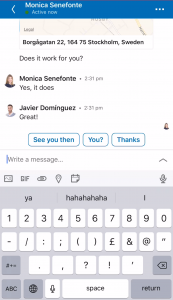 A few days ago, LinkedIn messaging has updated its functionalities by incorporating AI and synchronizing it with other productivity tools to deliver a fantastic and more centralized experience. What’s the news? Whenever you want to send a message to any of your LinkedIn contacts via mobile, AI technology recognizes your recent / most frequent recipients to avoid typing their names. 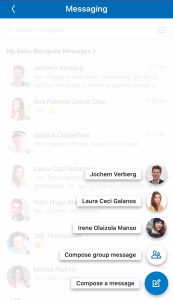 Just a single tap on the screen and you can initiate a business conversation right away. Professionals often tend to spend more time than expected when texting via LinkedIn. 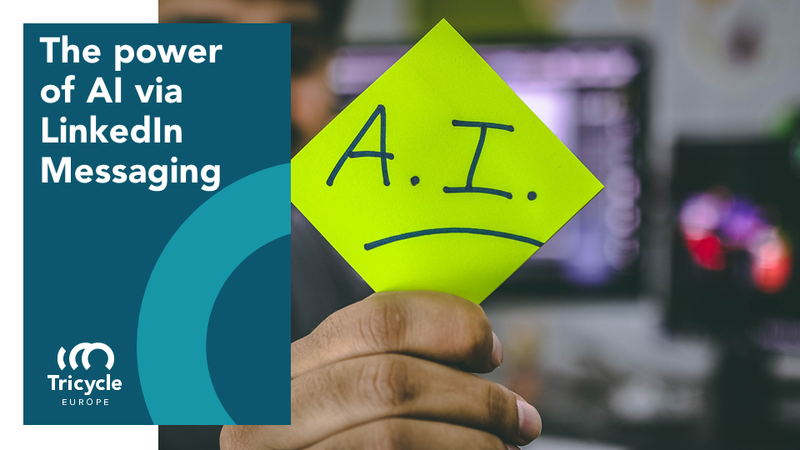 However, AI keeps pushing us towards productivity excellence and greater experiences. 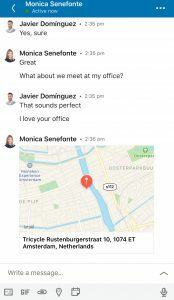 The smart engines behind LinkedIn messaging are quickly learning what potential replies match to the conversation you’re just having. Result? Having extra time to focus on other tasks that ultimately bring you closer to your daily goals. Have a look at the live demo of it at the end of this article. How many times have you had a conversation that has ended with a call to action such as….’ let’s schedule a meeting then’ ? This is something that constantly happens to professionals. You’ve just connected with a potential client on LinkedIn. In the following, you might have a conversation that ends in … how does your availability look like next week? 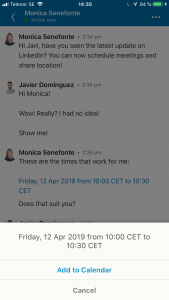 Thanks to the possibility of linking your calendar to your LinkedIn account, you are now able to instantly schedule meetings at any moment of your conversation. How? Check the live demo at the end of the article. Alright. You’ve had a conversation with your prospect. You’ve arranged your first meeting. And guess what? All without leaving the LinkedIn mobile app and the messaging section. Isn’t that great? Yet, we are missing a potentially important detail: Where are you going to have the meeting? Is it at your office? Perhaps, your prospect doesn’t know the location. No problem at all. You can also share any desired location via LinkedIn as well. Again, you don’t have to exit the messaging section of LinkedIn to do so. Result? You have extra time to focus on other important tasks. 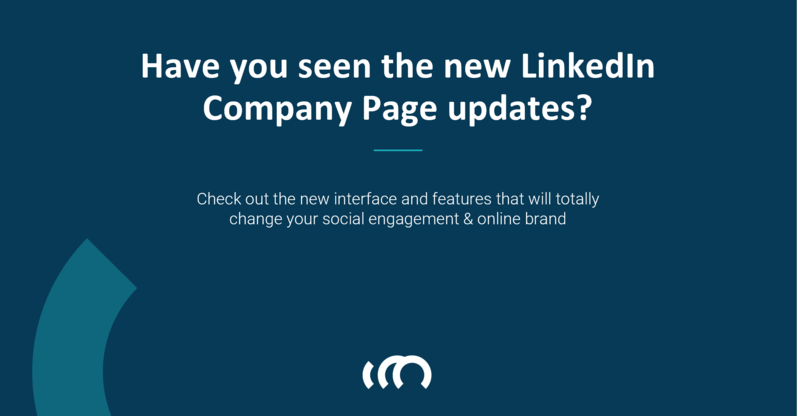 LinkedIn has become fundamental in your digital B2B toolkit. In addition, it is also improving our connectivity and our productivity, both essential towards enhancing results. Check the full live demo to experience how these new features and AI applications are working for you today. 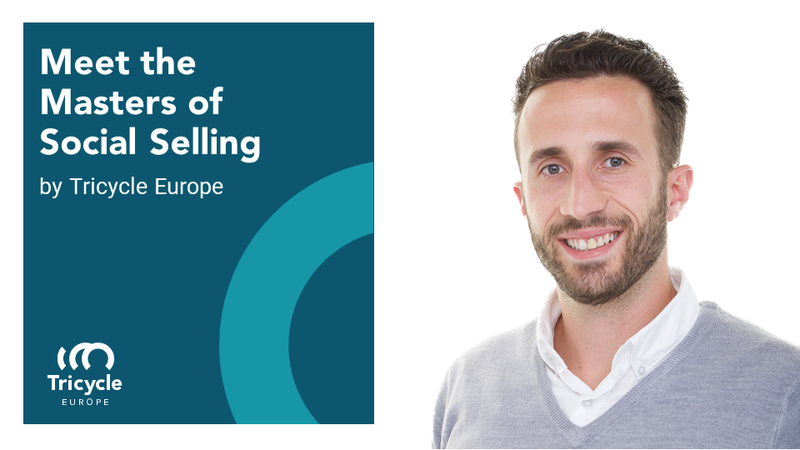 At Tricycle Europe, we want to keep you updated about the latest updates & news that improve the way you build sustainable business relationships. That is why we have created our Webinar Meet the Masters. 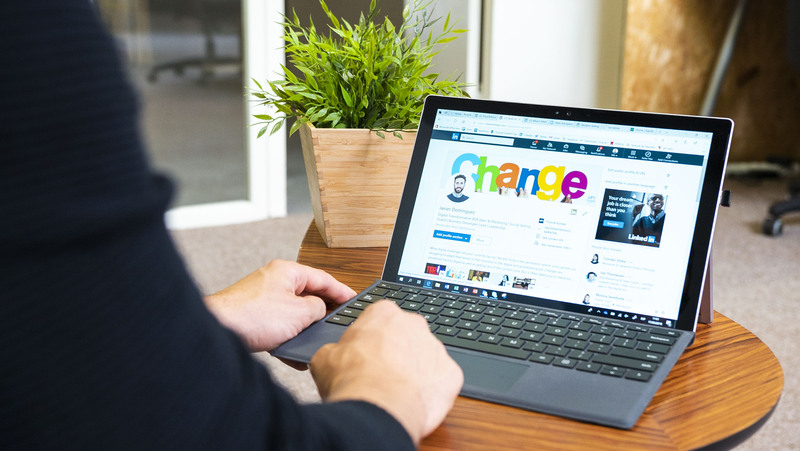 It is designed to update you on the latest LinkedIn updates and to show how top sales professionals are using social selling tools, why you should embrace it, and how to effectively implement a social selling strategy.